As our exceptional practice administrator, Dr. Aaron Rossi, has already covered on this website, we are fortunate to have a two audiologists join our practice – Dr. Courtney Parmley and Dr. Capobianco. As you may imagine, I screened both through trusted colleagues as they finished their training and they passed with flying colors. Their enthusiasm is infectious and I strongly believe they will be a very strong assets to our already spectacular team. As I have stated previously, pediatric otolaryngology is a particular passion. Hearing loss in children can lead to speech delays and problems with education. 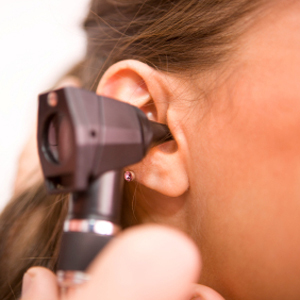 You can expect our practice to be aggressive about assessing hearing in our children. We care deeply for the children in our practice as do the devoted parents. This is also why one hears so often of grandparents or parents who purchase a hearing aid and then it winds up in a dresser drawer. I believe that you will find Dr. Parmley and Dr. Capobianco to be very warm, personable and effective. To learn more about hearing and balance, please check out our partner, Central Illinois Hearing & Balance Center. Dr. Finn R Amble M.D. recurrent sinusitis & Sleep Apnea. He no longer has Sleep apnea & has not had a sinus infection since!! I would strongly recommend Dr Amble for these surgeries!!! has to be one of the WORST Dr.'s I've ever been to. Had problems with my right ear. Went in for another office visit and he kept looking in my left ear and told me there was nothing he could do for me. IT WAS MY RIGHT EAR. I told him this and he just walked out of the room. I WOULD NOT recommend him at all. © 2019 Finn R. Amble M.D., F.A.C.S., S.C.